Have you seen this adorable stamp set in The Rubber Cafe store yet? It's called Leafy Fun Labrador! 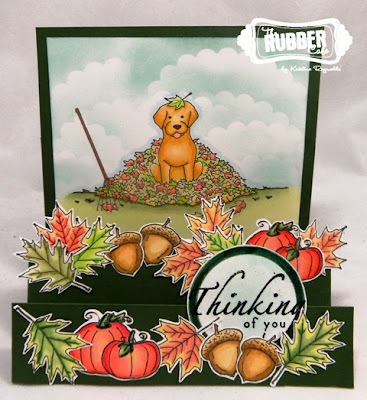 In addition to that adorable Lab sitting in the Leaves there is a maple leaf, a pair of pumpkins, an acorn, an oak leaf, and a rake in this set. For today's project I made a step card so that I could showcase all of the wonderful stamps in this set. 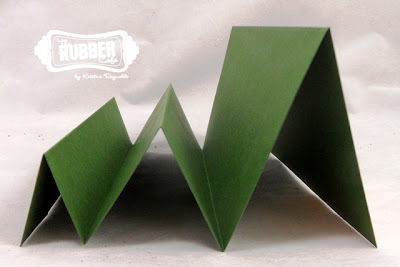 To make this card start with a 5 1/4" x 12" piece of green cardstock. Use a Scor-Pal to score the cardstock at 1 1/4", 2 1/2", 4 1/4", 6" and 9". Fold the panel back and forth on the score lines so it looks like this. 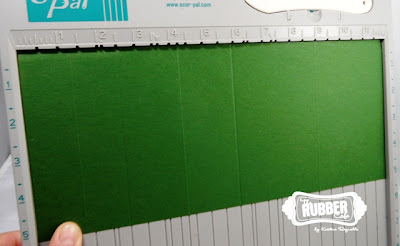 Cut a 5 1/4" square panel out of the same green cardstock and adhere to the back panel with Scrap Happy Glue so it looks like this. 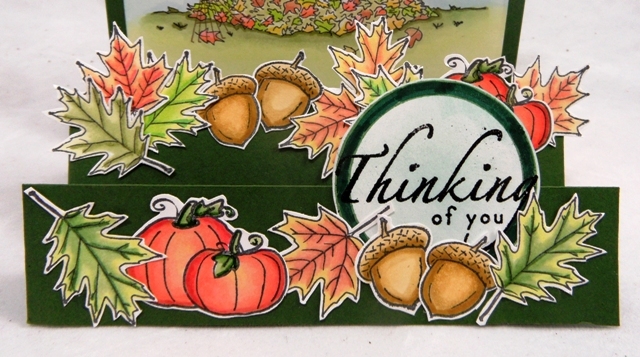 Stamp leaves, pumpkins, and acorns multiple times on Pugnacious Signature White Paper and color with markers. 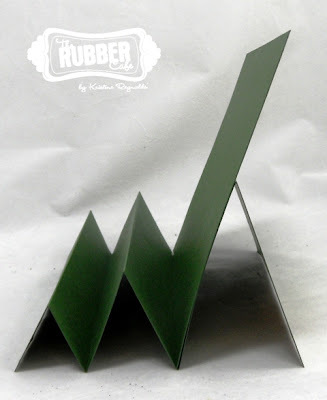 Cut out and adhere to the two front steps of the card with Scrap Happy Glue. Stamp the Lab image on a 5" square panel of Pugnacious Signature White Paper. 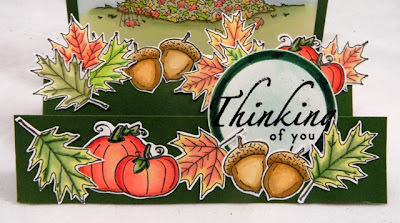 Color image with markers and adhere to card. 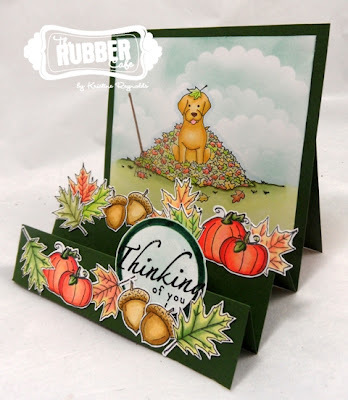 I hope you enjoyed this fun fall step card! so so cute! I just love this set- and your coloring is wonderful! This is a perfect set to use with the Step card. Awh! He looks so cute in those leaves. Well done!! beautiful card. I like the cut of this as well. Love the step cards. Thank you so much for sharing. Great step-by-step instructions! very nice!! love the colors. how did you make the back support?